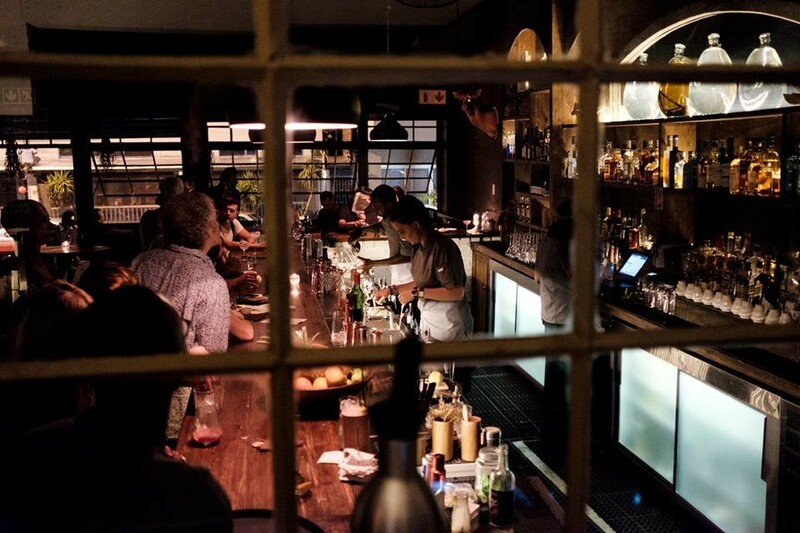 Describing itself as 'an authentic, unconventional interpretation of modern Africa' this slick cocktail bar in bohemian Melville is one of a cluster of new ventures in the neighbourhood that are gradually turning around the area's reputation for grungy student bars and instead putting Melville on the map for those looking for a sophisticated, unusual and original night out in Joburg. Melville regulars will remember this spot as the former location of a garish Mexican restaurant that was known as much for its endless tequila happy hours as it was for the saloon doors that had a habit of causing happy hour injuries to worse-for-wear punters on their way out. Walking into Mootee you'd hardly think it was even the same building. 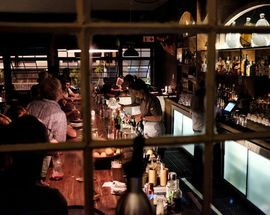 The entire place has been gutted and remodelled and now boasts a lengthy spacious alleyway with plenty of seating as well as a long dimly-lit bar counter where Mootee's 'potions' are conjured. 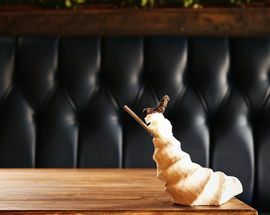 A cabinet filled with unusual artefacts and dried herbs, which may or may not be actual muthi (traditional medicine), greets you at the entrance and hand labelled apothecary bottles filled with homemade tinctures and spirits sit beside more familiar spirits behind the bar, adding to a sense of mystery and alchemy that is emphasised by the illustrated menu you'll be handed by the resident mixologists. 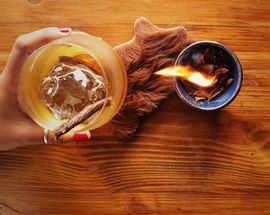 You are encouraged to choose from Mootee's twelve signature cocktails (all of which are priced at R85) according to the flavour notes that you enjoy most. The actual spirits used aren't listed lest you instil your own prejudices onto your choices (you can rest assured that you'll be warned of any potential allergens). You can also opt to make a choice according to the folk tales which accompany each drink or simply by its listed intentions such as to 'bring courage' or intriguingly for 'when wolverine status is needed'. Drinks arrive with suitable flourish. 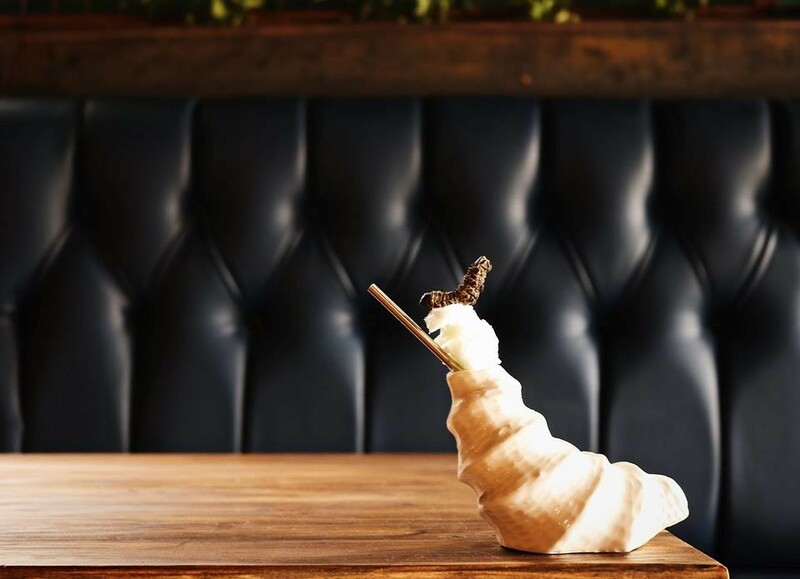 The glass of 'mjulamlomo' (mouth opener) for example arrives on a tiny fur-lined plank accompanied by a miniature burning pot of scented wood on the side ('for aroma') while the 'mashonza' is served in a custom designed ceramic cocoon that loosely resembles a mopani worm. 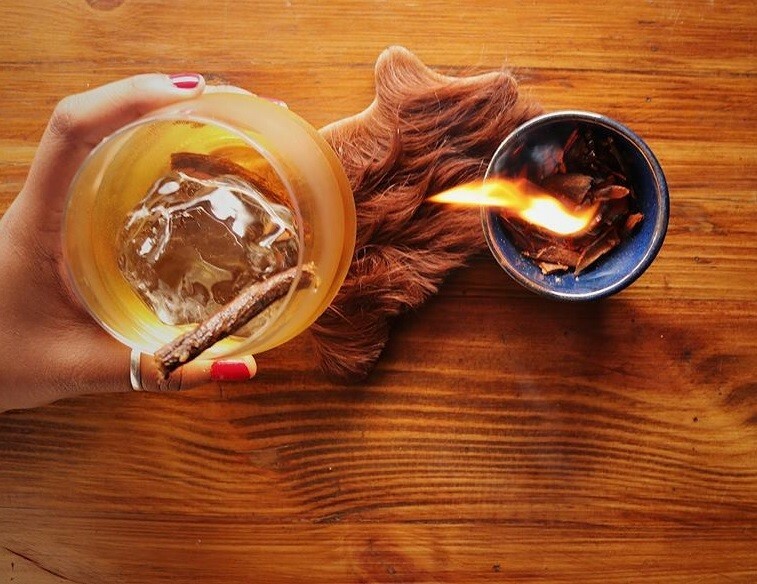 Part of the fun is taking a sip and guessing what you're drinking and having the mysteries revealed by one of Mootee's four award-winning mixologists, who also own and run the bar. Given that Mootee's drinks are all based around African ingredients, both familiar ones like pineapple beer or cane sugar, and the more obscure, each drink is a journey of discovery. 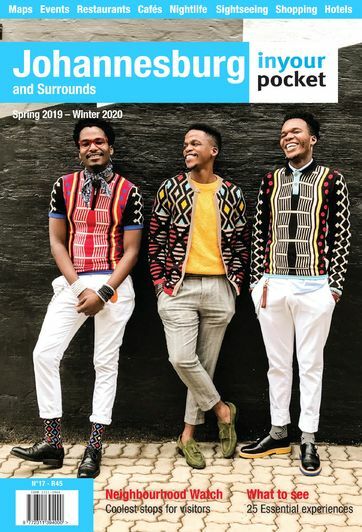 Pair them with one or two small plates from chef Blessing Chari's contemporary South African menu (think samp arancini or beer battered fish with Cape Malay pickle) and you're all set for a distinctly African culinary odessy. Open Tue 16:00–23:00, Wed–Thu 16:00–24:00, Fri 16:00–02:00, Sat 12:00–02:00, Sun 12:00–23:00. Closed Mon.